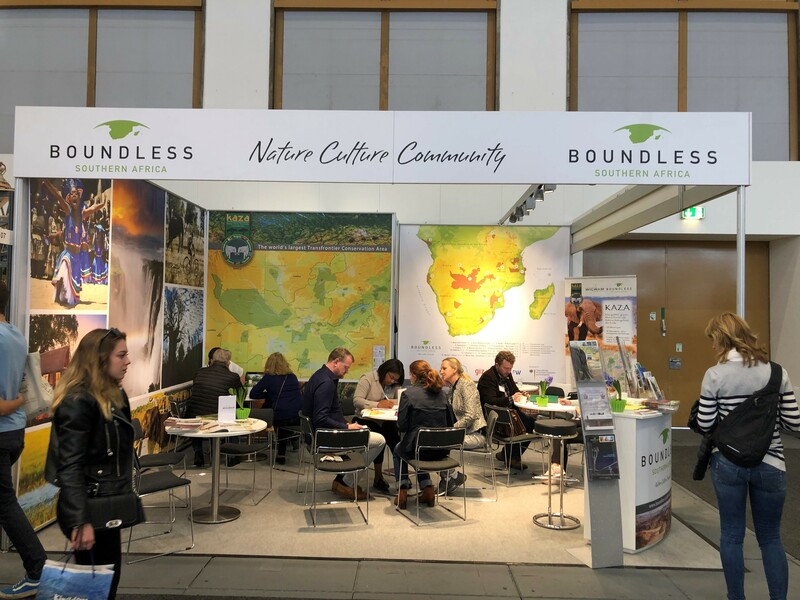 From 6-10 March 2019,Boundless Southern Africa, the marketing initiative for Transfrontier Conservation Areas in the SADC region, exhibited at the International Tourism Fair (ITB) in Berlin, Germany. 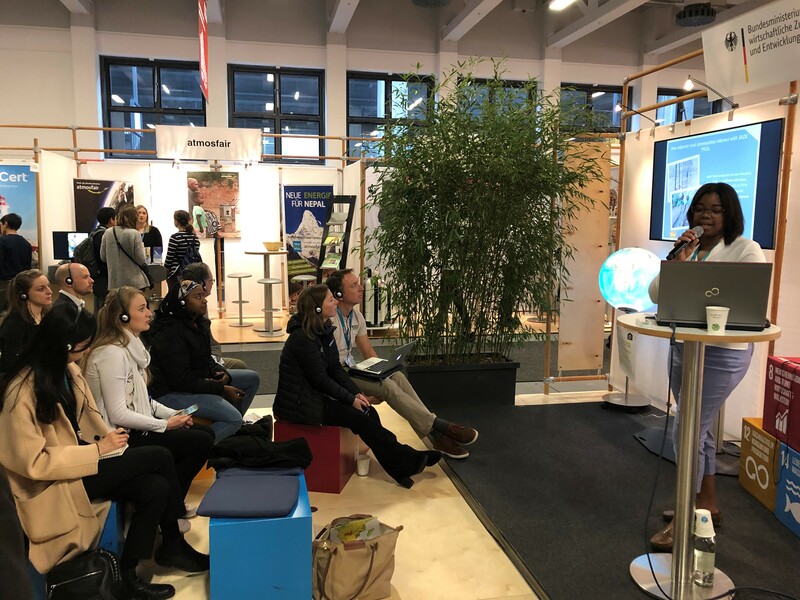 The ITB attractsmore than 110.000 trade visitors from 180 countries, including tour operators, tourism organisations, hotels, lodges, travel agencies, travel media and transport organisations. Boundless Southern Africa exhibited at two stands and partneredwith several TFCAsand private sector operators: /Ai/Ais-Richtersveld Transfrontier Park, Kavango-Zambezi (KAZA) TFCA, KAZA Collection, Namibian Wildlife Resort,Children in the Wilderness, WIGWAM Naturreisen & Expeditionen, and Wildrun Africa. Numerous meetings were held with regional and international tour operators, representatives of national tourism boards, international press and travel bloggers. 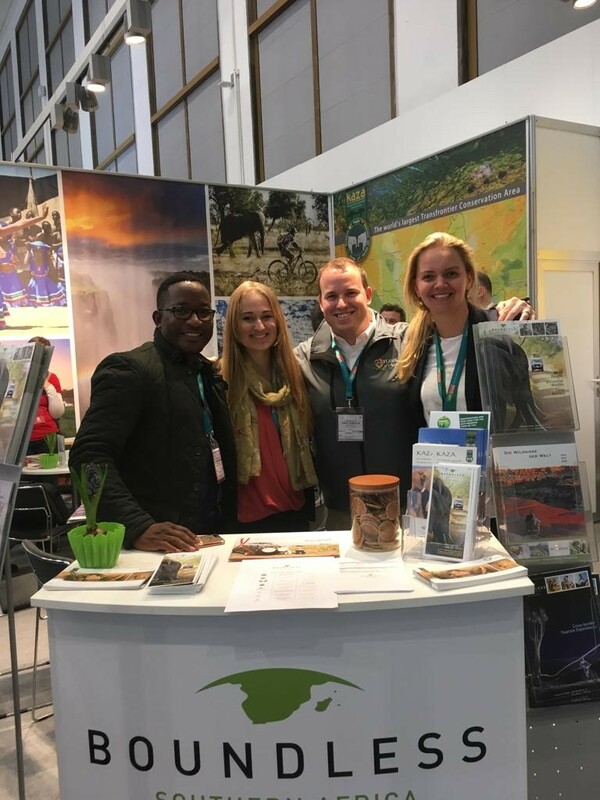 During the 14th Pow Wow for tourism professionals focussing on scenic roads and trials, two transboundary trail-run events were featured by Owen Middelton on Wildrun Africa: The Namibia Crossing and Mapagunbwe: Safari-on-the-Run. A networking event was organized with the German Travel Association for Southern and East Africa (ASA). Boundless Southern Africa and ASA are partnering for an “ASA goes Africa” series of familiarization trips which will take place in June 2019. KAZA, Great Limpopo and Lower Zambezi – Mana Pools TFCA will be visited by German tour operators and travel trade during that time. In particular KAZA TFCA receives much interest of the travel trade and beyond, partly due to their long-standing participation at the ITB. Land Rover Germany has selected KAZA as their destination for of the Land Rover Experience Tour taking place in November 2019. In a promotional video, the trip across the 5 KAZA partner countries is being advertised to the 4x4 community in Germany. During a side event hosted at the exhibition stand of the Germany Ministry for Economic Cooperation and Development (BMZ), the SADC/GIZ Transboundary Use and Projection of Natural Resources (TUPNR) Programme presented on the tourism support being provided in the region under the title “Southern Africa: Nature Experiences without Borders – African Tourism of the Future”. The participation of Boundless Southern Africa was made possible by the SADC/GIZ TUPNR Programme, private sector partners and Peace Parks Foundation. The participation of KAZA TFCA is supported through KfW. The support of GIZ and KfW are both part of the engagement of the BMZin the SADC Region.